Mission #5 – Backyard “Command Center” Obstacle Course for Kids! Mission Objective – To collect the most mission cards at the end of the mission. Calling all Army Kids! Are you ready for the next big mission? Calling all Army Kids! Mission #5 is here and it is a real obstacle course challenge. Divide the group into two teams. Each team will have a home base. In an area that is equidistant from both bases, will be the command center. At the command center will be Mission Cards (exercises written on notecards or paper) that have tasks on them that will need to be completed. Each team will take turns sending a soldier to race to the Command Center and grab a Mission Card. That soldier completes whatever task is on the card and runs back to the home base, remembering to take the card with. When he/she taps the next soldier on the back, then the second soldier repeats the same process. When all of the Mission Cards are gone from the Command Center, the mission is complete. The team with the most cards wins! They’ll all be smiling before, during, and after they complete this Backyard Obstacle Course for Kids. Mark two home bases and a Mission Command Center. Divide into two teams and get started! 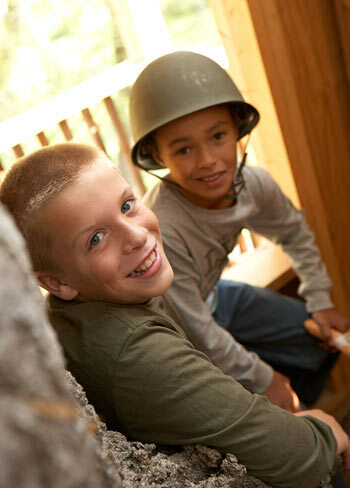 To complete the military theme, let your soldiers get into the spirit of the mission by donning their military gear. 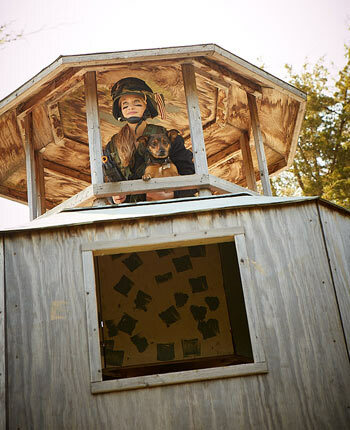 A Four Pocket BDU Army Shirt for Kids, matching Six Pocket BDU Army Pants for Kids, and an authentic Army Helmet for kids will turn them into battle-ready soldiers! 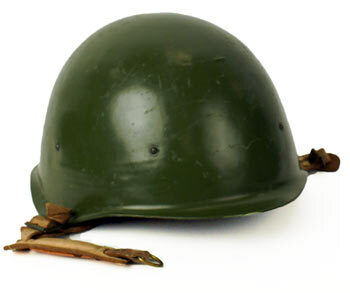 An authentic Army Helmet for Kids will turn them into battle-ready soldiers!